The newyear that has just begun is already doing a lot of discussion in terms of revolutions and gastronomic tendencies. The world of catering is constantly evolving since it has to deal with an increasingly demanding and demanding consumer, while trying to grasp all the challenges and opportunities that technology can offer. Doxa, a company that deals with international market research, along with The Fork, a leading platform for restaurant reservations in Europe, conducted a study summarized in the report “Eating out in 2019“. Elaborate dishes, refined ingredients and refined cuisine make the taste not only for the palate but also for the eyes. Aesthetic should be shared and we are already thinking of this especially the millennials on social media with photos, stories and videos on food. 95% of US restaurateurs state that technology improves efficiency in their restaurants. It is therefore expected that app, food delivery and robotic restaurants will be more and more widespread and the concern is that the personal and human touch is lost. Restaurants will give customers greater transparency on the origins of food and methods of cultivation. Not only that, they will be more careful and precise in communicating prices, salaries and company performance. Go ahead for vegetarian, vegan and raw food menus. This translates into a strategy that aims to produce zero waste and an ever-increasing sustainability. Not just simple meals, but multi-sensory kitchens, permanent pop-up restaurants and narrative dinners. New culinary formats will make more and more space to entertain the guests and offer memorable experiences. We are no longer content with the biological ingredient, now it must also be functional, that is, positive for the organism. Consumers are increasingly curious and do not want to be ignorant on the subject, so once again technology will come to the rescue to get more information on ingredients and production locations thanks to specific apps. 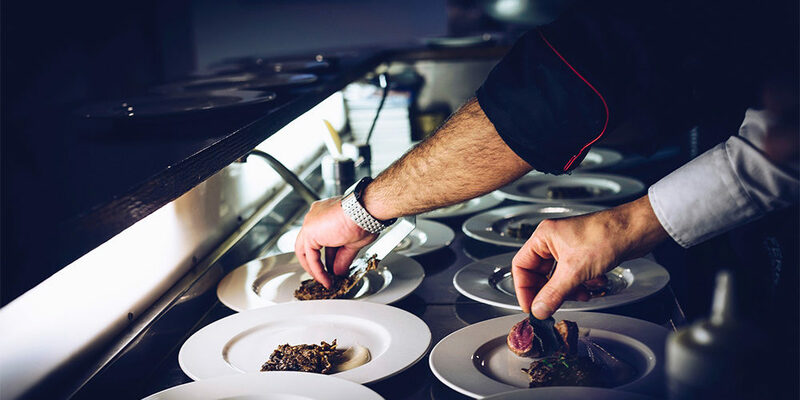 Some trends have been noted for some time, others instead regard totally new approaches to the world of catering and make sure to reflect, especially when it comes to replacing human intervention with machines and applications or when it comes to sustainability and genuineness of the preparations. Do you feel ready to face this evolution?